Whether we want to admit it or not, the 90's are back. While there are some 90's fashion moments I'd be happy not to relive such as flatforms, denim vests over floral dresses and low-rise thong exposing jeans, I'm very happy about the return of plaid to the fashion forefront! 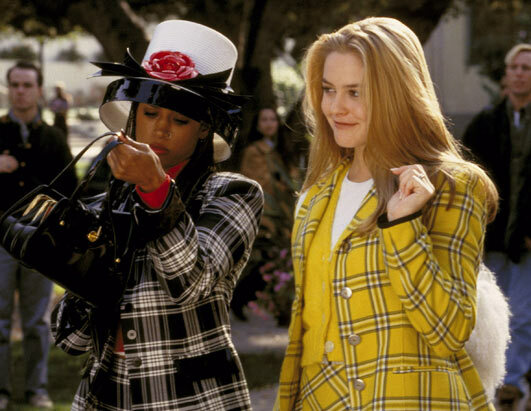 Some may acquaint plaid with grunge flannel looks, the punk era or even the ska looks previously sported by the likes of Gwen Steffani, Clueless taught us all how to be chic in tartan! Here's how you can recreate the look... Don't worry if you're kicking yourself for throwing out all your plaid a few years ago - you're in good company! Gosh, my favorite movie in middle school. I think I watched this like every other weekend! I do love the Scotland Shop pieces the most.